Canadian Rockies Golf brings together all six golf courses located within the Canadian Rockies, offering visitors a world-class experience of variety, extending beyond golf and into memorable vacations of exploration, adventure and serenity. Our resorts welcome you to experience the Rockies and be part of “golf that inspires”. This historic Stanley Thompson course is a must-play, meandering between Mt. Rundle, Banff National Park and the Bow River. Ranked a top-five classic course in Canada by Golf Digest. Built in 1926, this course is perpetually voted “Best of the Bow” for its overall playability and challenge by locals and visitors alike. 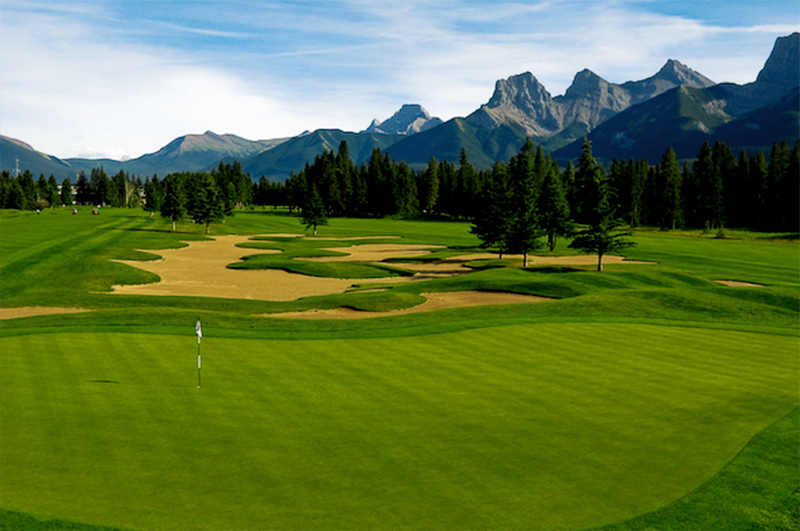 Ranked the Best Resort Course in Canada by ScoreGolf, GOLF Magazine and Golf Digest, the classic Stanley Thompson design is located in Jasper National Park. There are two courses at Kananaskis Country Golf Course, Mt. Kidd and Mt. Lorette. Both are internationally ranked. 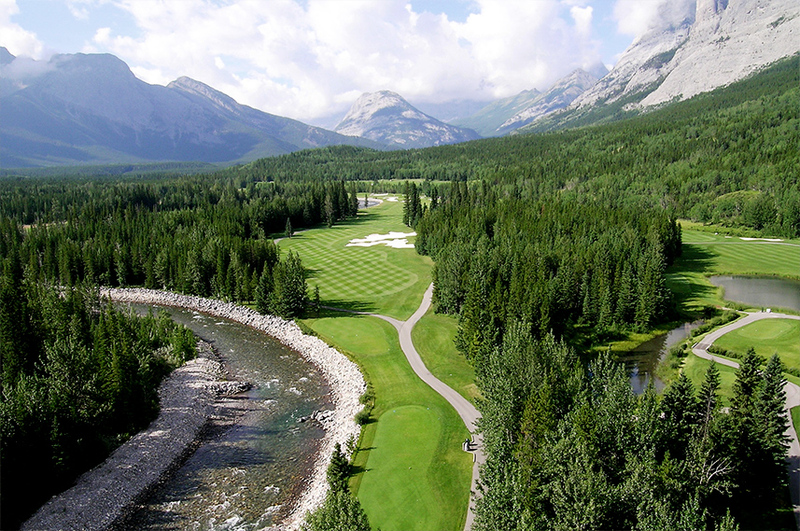 Not far from Canmore and Banff, these classic Robert Trent Jones Sr. designs offer stunning views of the craggy tips of the surrounding mountains. ** Kananaskis Country Golf Course is currently closed due to significant flood damage that occurred in 2013, and will be open by the 2018 season. Dramatic, challenging golf can be found at Silvertip, offering some of the best views of Three Sisters Mountain. Bring your “A Game” to this 7,173-yard par 72 (and your camera). Consistently ranked one of the best modern designs in Canada, the Gary Browning layout includes elevated tees and beautiful landscapes as a unique mountain golf experience. And including Golf Canada’s West Packaging for golf specific vacation planning. 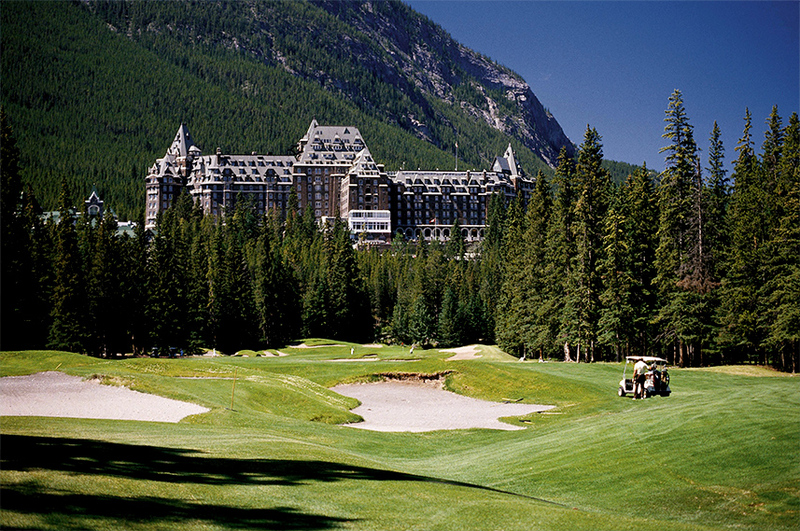 Start your Canadian Rockies Golf vacation planning today. The Canadian Rockies Golf courses are all conveniently located in the spectacular Rocky Mountains from Kananaskis Country to Jasper in Alberta, Canada. 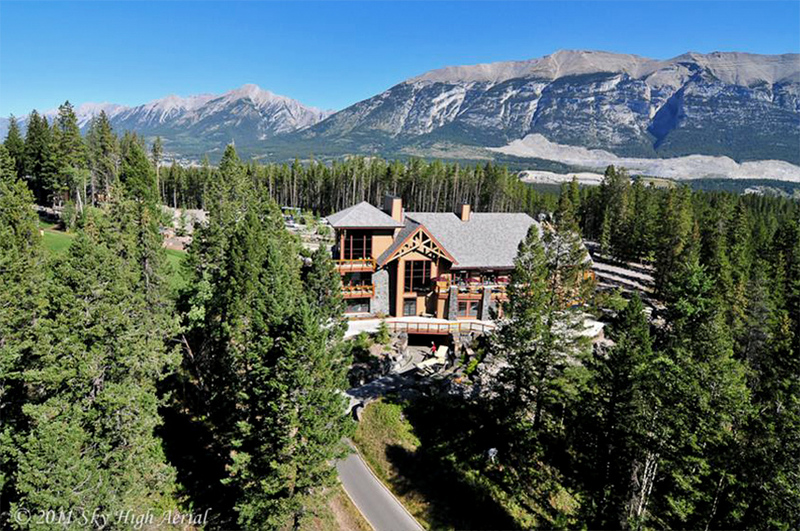 Located in Banff National Park, Jasper National Park, Kananaskis Country and the mountain community of Canmore, each of the golf courses are easily accessible from one to another and from nearby cities. The closest international airports servicing the area are Calgary International Airport in Calgary and Edmonton International Airport in Edmonton, both in Alberta, Canada. Highway 1 (the Trans-Canada Highway) is the main artery to the Rocky Mountains from Calgary, with Highway 40 veering off toward Kananaskis Country shortly before Canmore, and the famous Icefields Parkway (Highway 93) leading toward Jasper off the Trans-Canada just north of Lake Louise. From Edmonton, take Highway 16 west, straight to Jasper National Park. From there, head south to reach other Canadian Rockies golf locations. Highways 1 and 16 are also convenient major routes across the mountains from neighbouring province, British Columbia. A spectacular scenic drive awaits travellers along these roads. A number of rental car companies are located in Calgary and Edmonton, and motorcoach lines frequently service the area.